Celebrate your femininity with this beautiful necklace by Hot Tomato Jewellery. 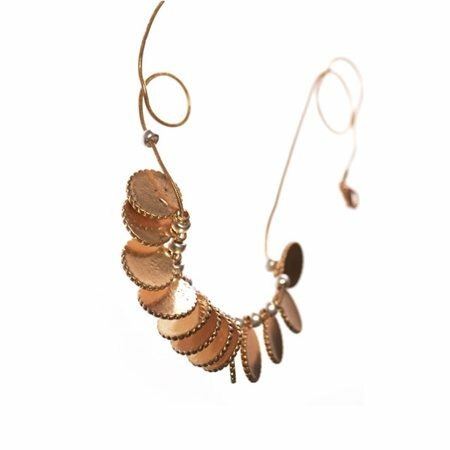 The long length gold chain supports a collection of small gold coloured discs that are intercepted by pretty silver coloured beads. The necklace has lovely movement and would compliment any look.